Bringing together leading experts from the fields of architecture, design, engineering, education and the social sciences, this valuable collection presents a multidimensional understanding of the complexities and ways in which school designs influence and are influenced by educational practice. Moving beyond the long-debated question as to whether the design of a school influences pedagogic practice, chapters acknowledge the multiple and diverse ways in which teaching, learning, development and inclusion are impacted by the nature and quality of the physical environment. Considering changes in national and international policy, and exploring the changing pressures and demands on design, education and schooling more broadly, contributors rethink and re-envision those aspects of design and educational practice in which they specialise. Together, these chapters present a bold vision for the future conceptualisation, development and use of school buildings and facilities. 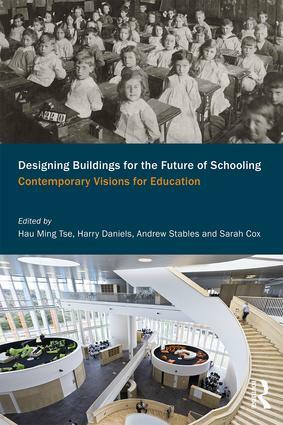 An important contribution to debates on school design and education, inclusion and pedagogy, this is an essential and fascinating read for students, researchers, lecturers and policymakers involved in the fields of education and architecture.